Lighted wedding centerpieces are one of the hottest trends in wedding table decorations right now. 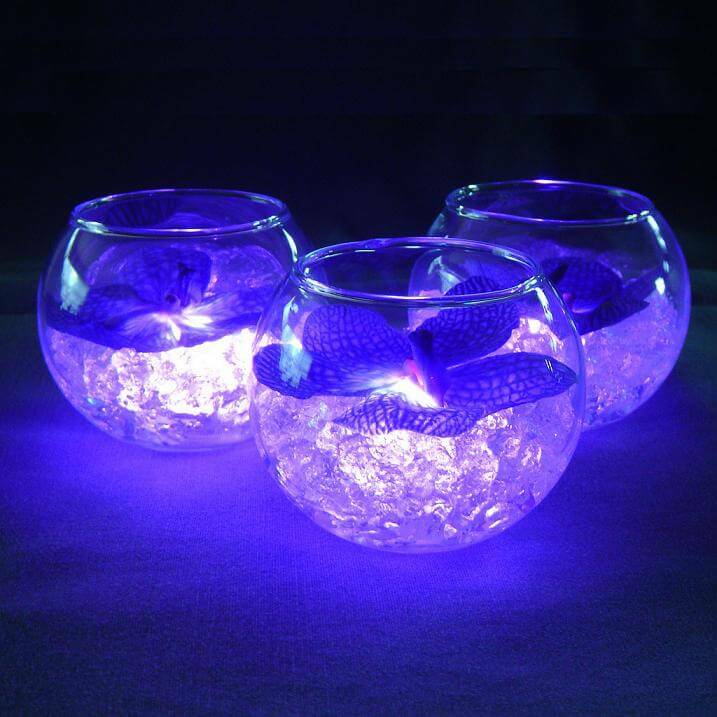 They are absolutely stunning, casting an amazing glow that practically comes to life on your reception tables. 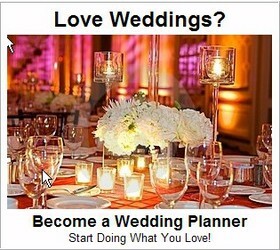 The lighted wedding centerpiece idea has emerged with the invention of LED lights. The lighted wedding centerpiece in the photo above was created by placing inexpensive water-activated lights at the bottom of the vase or bowl. This submersible led lights are available in the SuperWeddings Wedding Accessories Store. This lighted wedding centerpiece was created by placing submersible lights into clear round votive holders. Then gel ice (magic crystals) was added to the votive holders to cover the lights. The “ice” gives off a lot of reflection from the lights and makes everything look rather magical. The ambiance created when the whole thing is put together almost has a mysterious quality to it, but in the most romantic way. For the perfect finishing touch, a small orchid bloom sits on top of the “ice”. Really simple, but sensational, lighted wedding centerpieces can be designed using underwater LED fairy lights which are then simply tucked into clear glass jars and grouped at the center of your wedding tables. In the picture above, spice jars with cork lids were used – but you can use any type of jar and the lids are absolutely optional. The lights can be used in water, but its not necessary if you prefer not to include water as part of your wedding centerpieces. Including the water, however, makes for a great conversation starter at your reception tables – guests find the underwater lights fascinating. And the water adds another visual dimension and point of interest to your centerpieces. Once you’ve placed the lights in the jars, group the jars at the center of your reception tables for maximum visual effect. You can use just one jar at a time per centerpiece if you are on a limited budget, but clusters always offer more visual impact if you can do it. This next lighted wedding centerpiece was also created using LED fairy lights (yes, the same waterproof ones we used for the lighted centerpiece above). 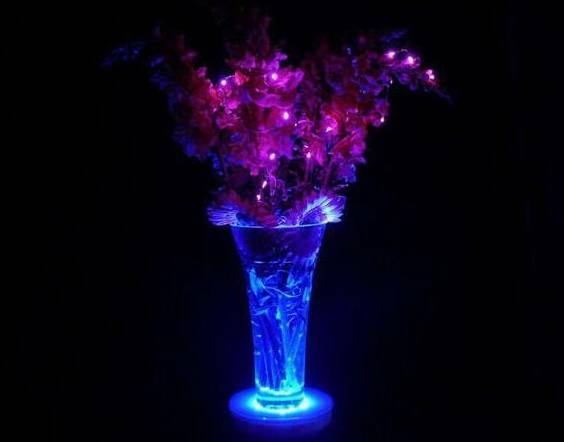 Here, long stemmed purple flowers are arranged in a clear glass vase and submergible waterproof LED fairy lights are tucked inside the vase. If you are using fresh flowers, you’ll want to add water. 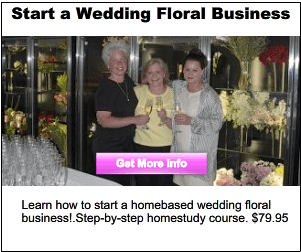 If you are using silk flowers, you have a choice of whether or not to add water to the vase – it just depends on your preference. Either way, the whole vase absolutely glows. When the lights are dimmed at your reception, the effect is truly spectacular. Note that in this design, the lights were dotted through the actual flowers as well, so the whole design just glows. 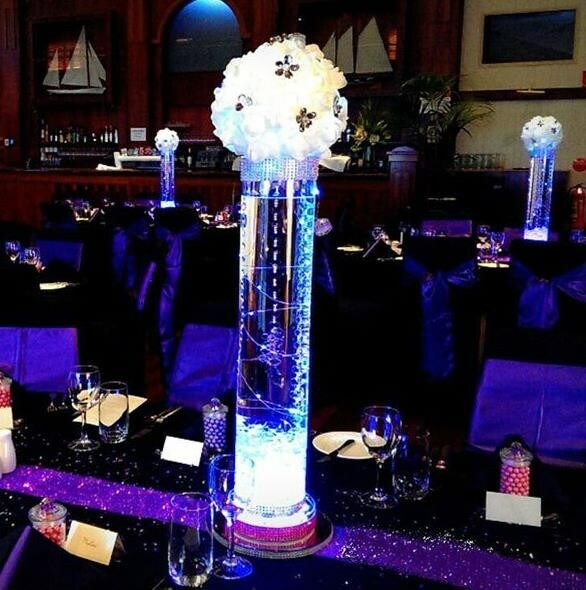 In the photo below, really elegant tall wedding centerpieces have been created using the same submersible LED fairy lights inserted into super-tall clear cylinder vases with a round pomander floral ball placed at the top of the vase. Very, very easy to DIY and recreate this look! Still using LED waterproof fairy lights, this time we’ve created fun lighted wedding centerpieces simply using wine bottles with the LED lights inserted into them. Once again, add water or not – the choice is up to you. The water definitely makes it interesting. But either way, it will look great. Ready to have a little more fun with mason jars? 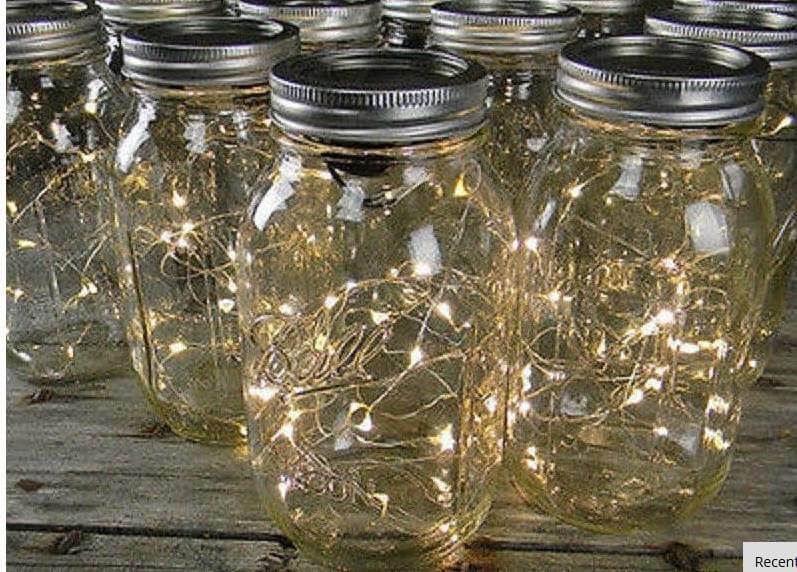 For a rustic, shabby chic, or outdoor wedding, lighted mason jar centerpieces are great to look at and super easy to create. 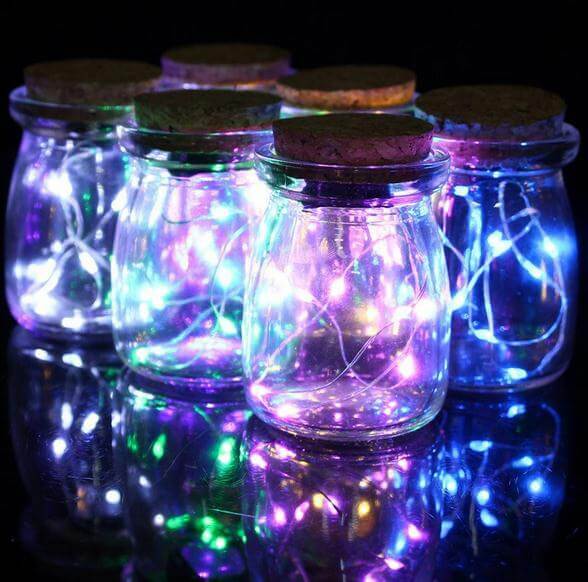 Once again, just stuff the waterproof LED fairy lights into the jars, add water or not, and your super-cool lighted wedding centerpieces are done. Couldn’t get any easier. 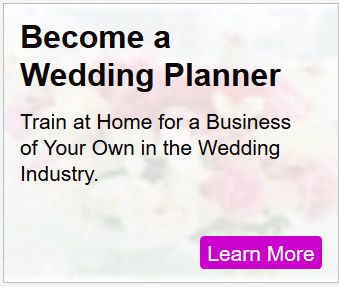 Cruise thrift stores and garage sales for the jars in the months before your wedding to collect up the number you need. You’ll get them for next to nothing. 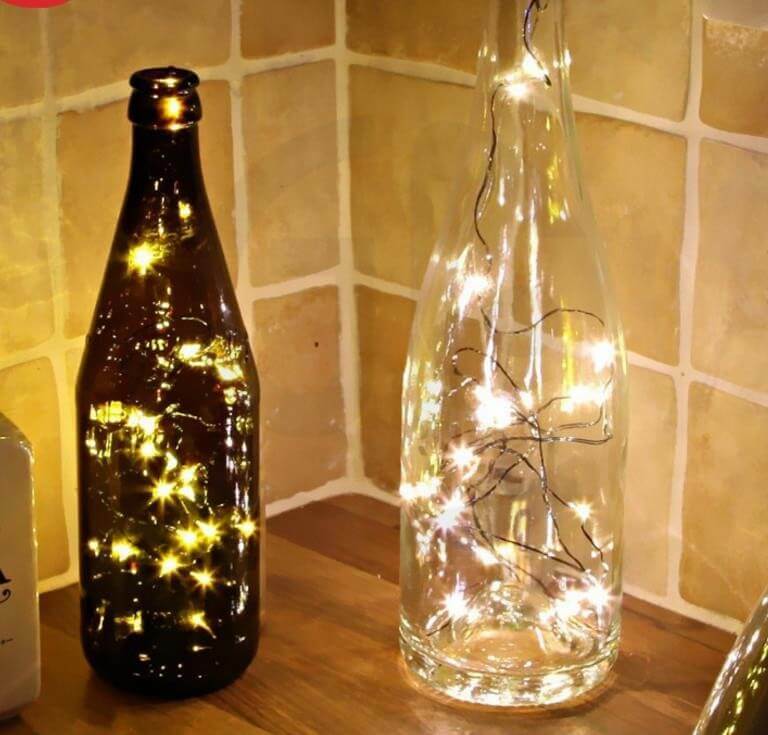 You’re only real cost will be the LED fairy lights.